The art of home decorating is the ability to create a beautiful space even when you're lacking in, well, space. 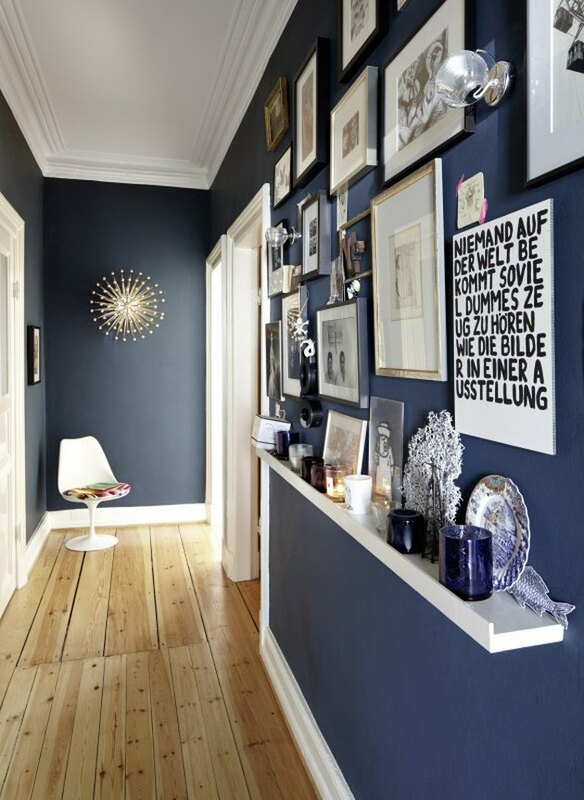 Although the words "cramped" and "dark" come to mind, small hallways need not be neglected. 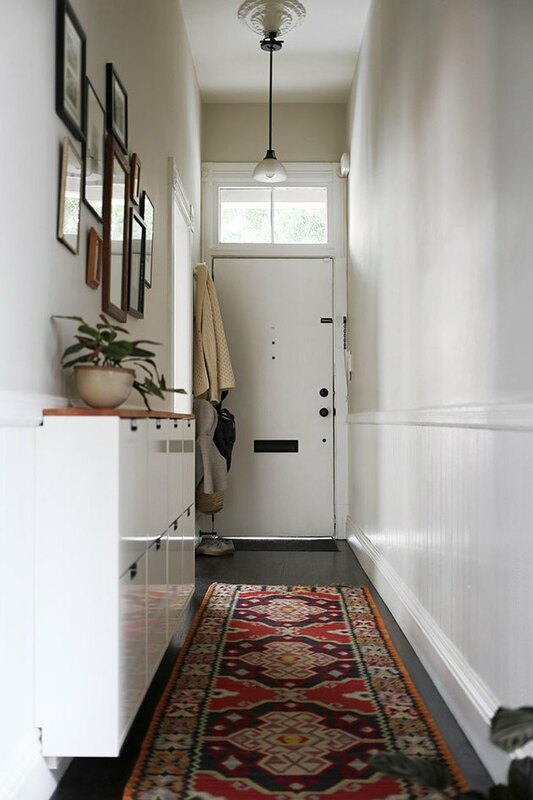 With a little creativity and some TLC, you can decorate a gorgeous hallway no matter the size. 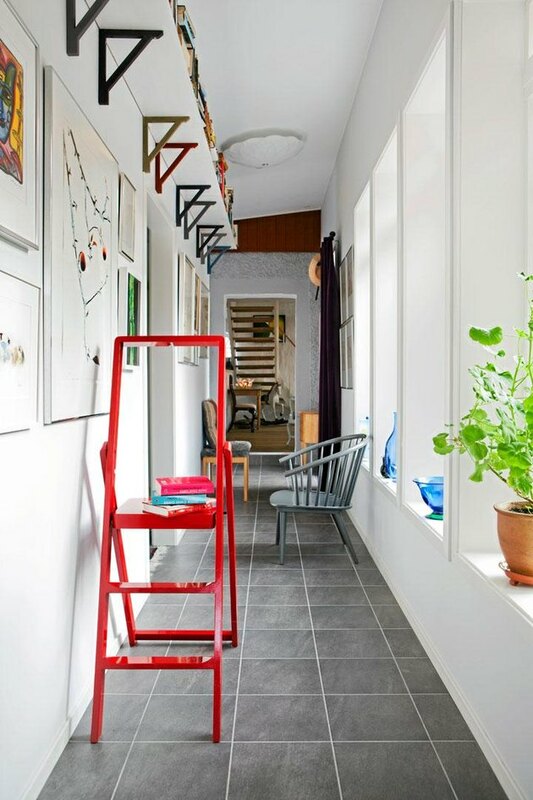 Here are 12 practical and pretty ways to make the most of your spatially challenged corridor. 1. Let your walls be art. 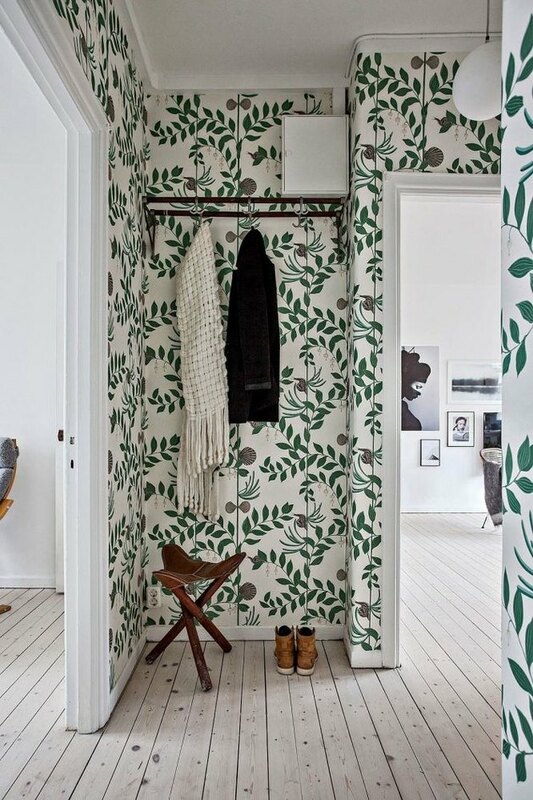 A cozy hallway is a cost-effective place to go all out with that fancy wallpaper that you've been eyeing. Live in a rental? Allow us to introduce you to your new friend, also known as peel-and-stick wallpaper. 2. Or add a gallery wall. 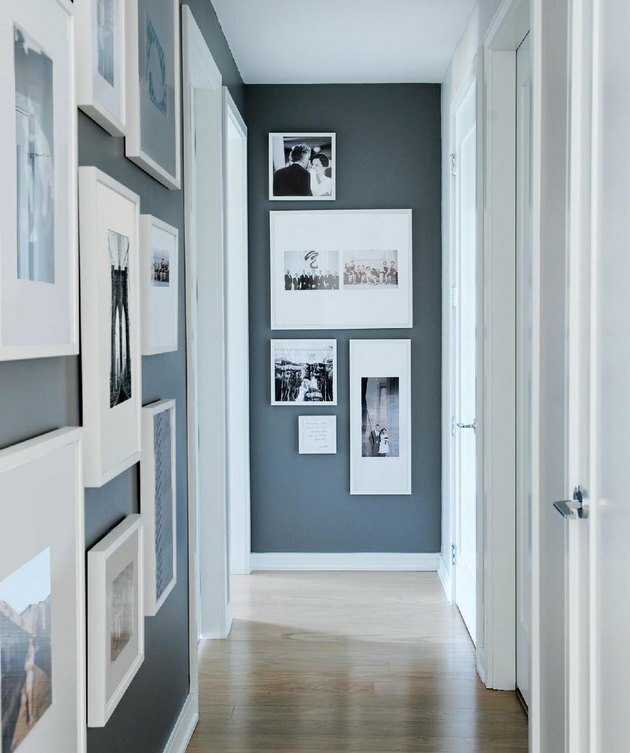 Even a small hallway has some wall space to play with — perfect for a gallery wall, of course. The configurations are endless. 3. Hang a picture ledge. A picture ledge is not just for pictures. In fact, in a small hallway, it might be put to better use as a thin shelf, and it looks especially sleek below a gallery wall. Maybe your hallway is so snug you don't have room for tables of any kind. Consider adding some shelving. If you hang them up high like Gunilla Nilsson and Ove Petersson did in their Scandinavian-inspired home, you don't have to worry about constantly bumping into them. 5. Get creative with hooks. A small hallway still offers plenty of wall space for hooks. But there's no need to clutter your corridor with bulky coats. Tessa Hop and her family made beautiful use of these wooden circles by Muuto that are perfect for giving their hats and handbags a stylish place to hang. 6. Enlarge the space with a mirror. It's the oldest design trick in the book because it works. 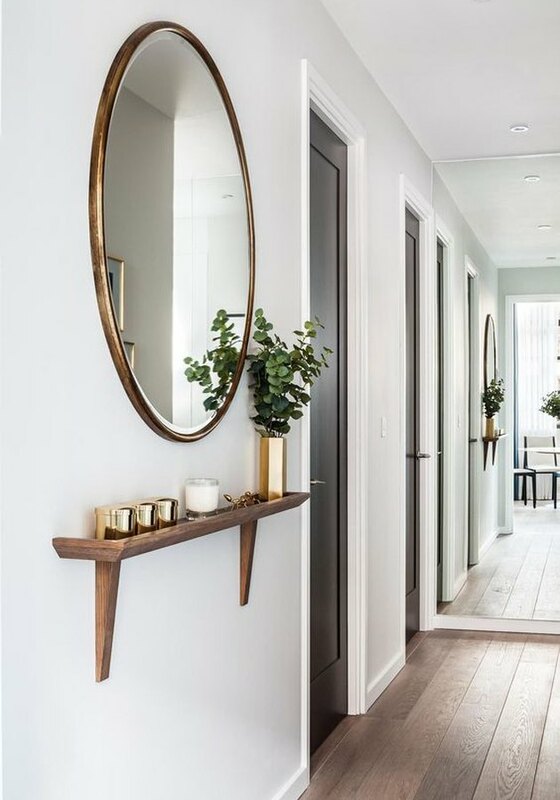 Make a small hallway look bigger with a gorgeous mirror like the design firm Gordon-Duff & Linton did in this stunning London-based home. 7. Draw the eyes upward with light fixtures. 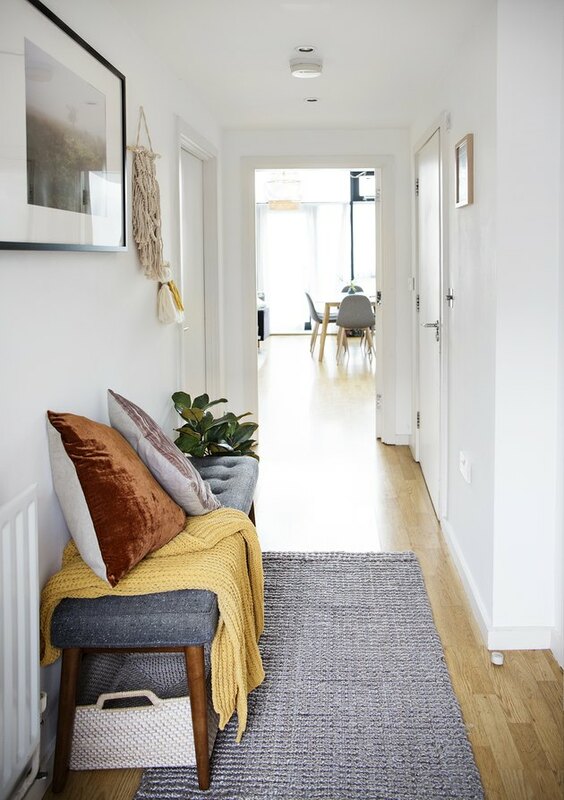 A small hallway doesn't need to be a dark hallway. Interesting pendant lights like this simple and elegant fixture in food writer Jessica Battilana's San Francisco home, add warmth and a hint of modernity to a mature home. 8. Lay down a snazzy rug. If your hallway is so tiny that you think it's impossible to add personality, look down. 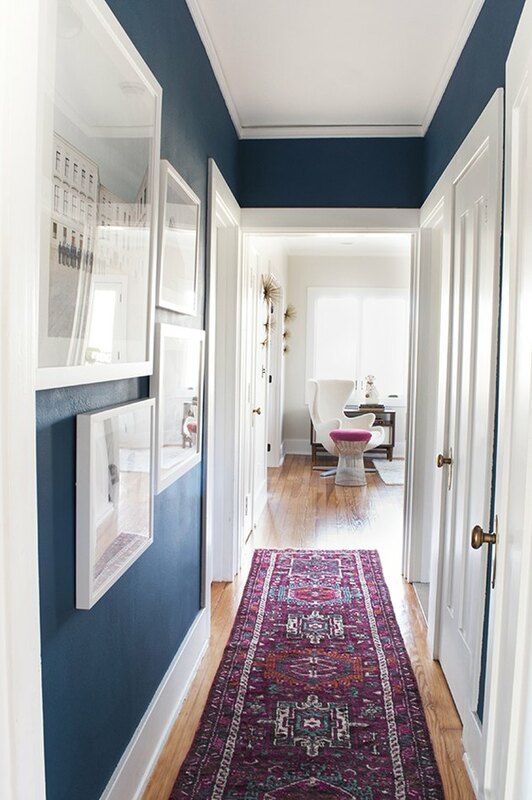 Sarah Gibson over at Coco Kelley threw down a snazzy rug in this corridor to add color and texture, making all the difference. 9. Store shoes beneath a bench. If your small hallway doubles as an entryway, chances are that it's the place where everyone kicks off their dirty shoes. During the winter, this can make for a real mess. 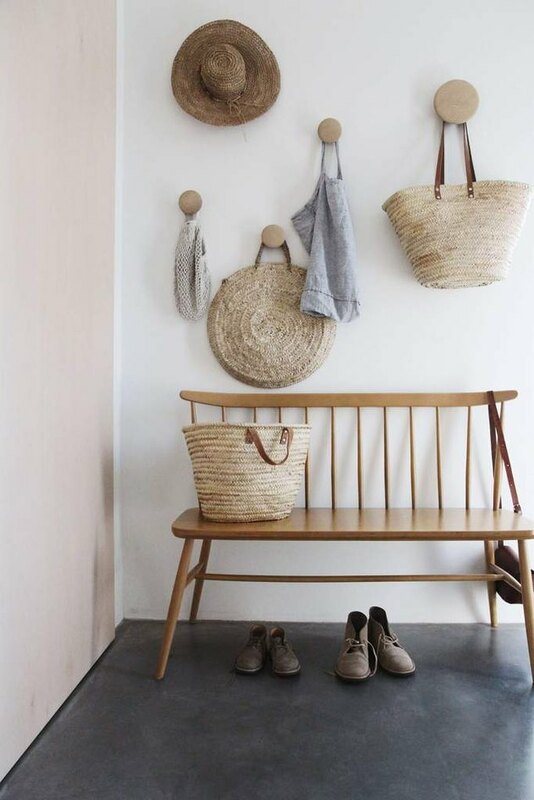 Follow the lead of Teri from The Lovely Drawer and organize and contain the clutter to the area beneath your hallway bench, with a few of these woven baskets from West Elm ( starting at $31 ). 10. Opt for a shoe cabinet instead. Let's be honest, you can alway use more storage. 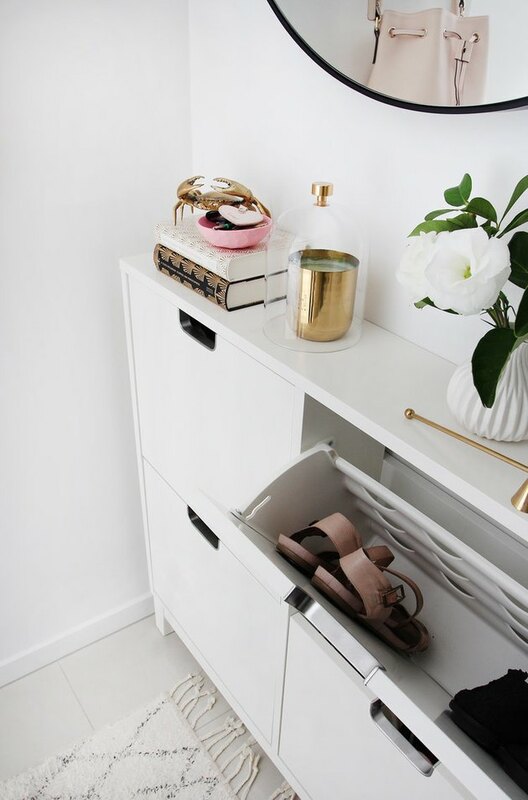 Loni Parker gave her hallway a modern makeover with the help of this Ikea shoe cabinet ( $89 ). And bonus: It's not just for shoes! It adds more storage to a small hallway and provides enough of a ledge for houseplants or your favorite candle on top. 11. 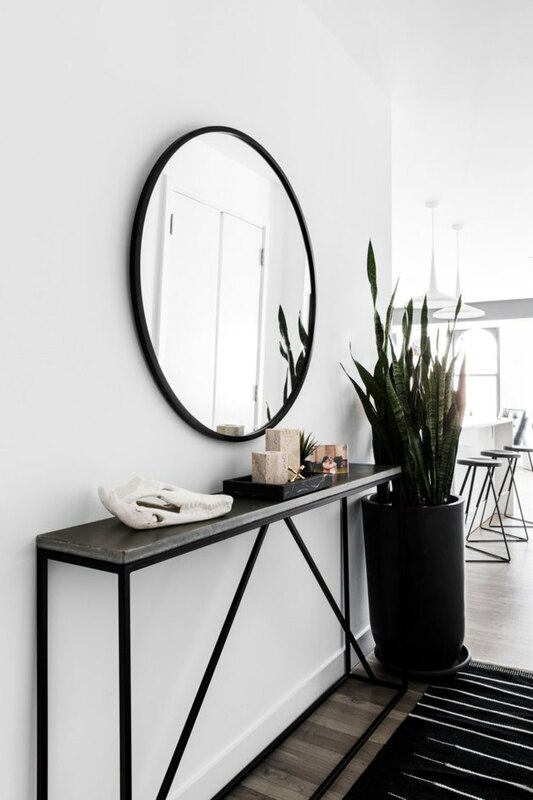 Create the illusion of more space with a console table. Give the illusion of more space with a narrow entry table. Designer Nicole Watts did just that with this modern console from Patrick Cain Designs in a New York City bachelor pad. 12. Hang your bike up high. 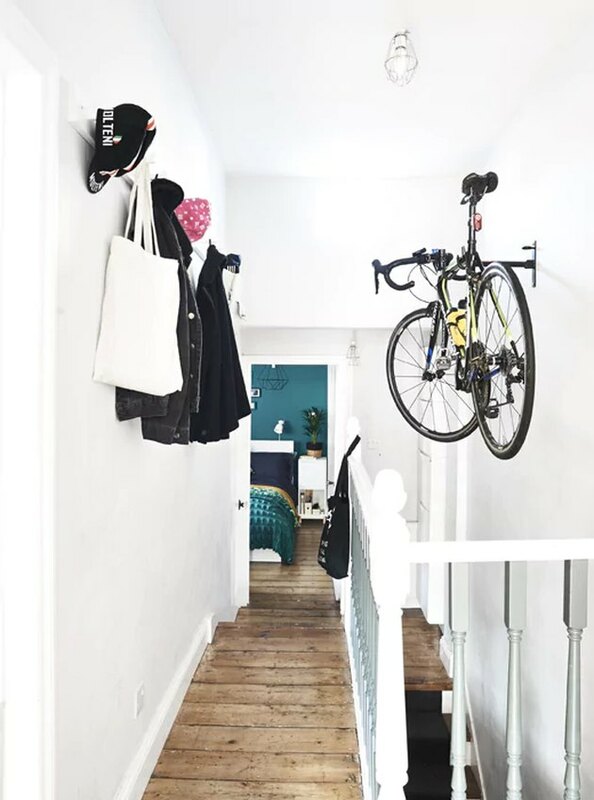 If your hallway is slim but tall, take advantage of its height by mounting a rack near the ceiling for bike storage. Jessica is a Brooklyn-based writer and editor.